Lunka and puppies are fine! 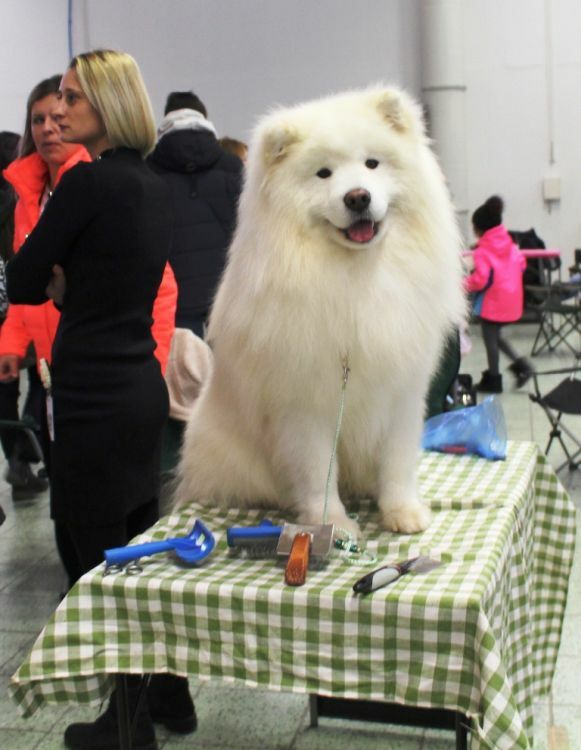 28.1. 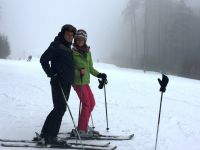 – 30.1.2019 - Our Basty had beautiful wife Luchka from Slovenia. 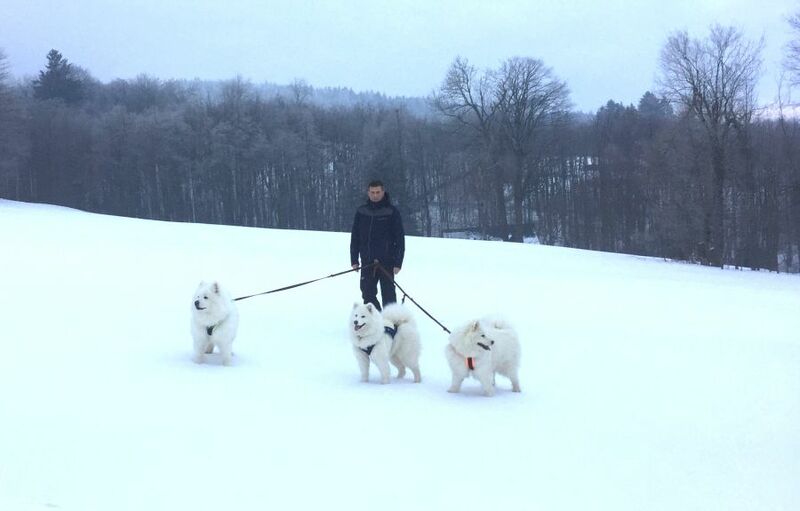 We will keep our fingers crossed! 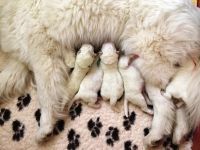 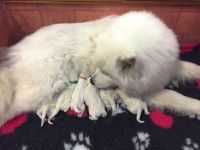 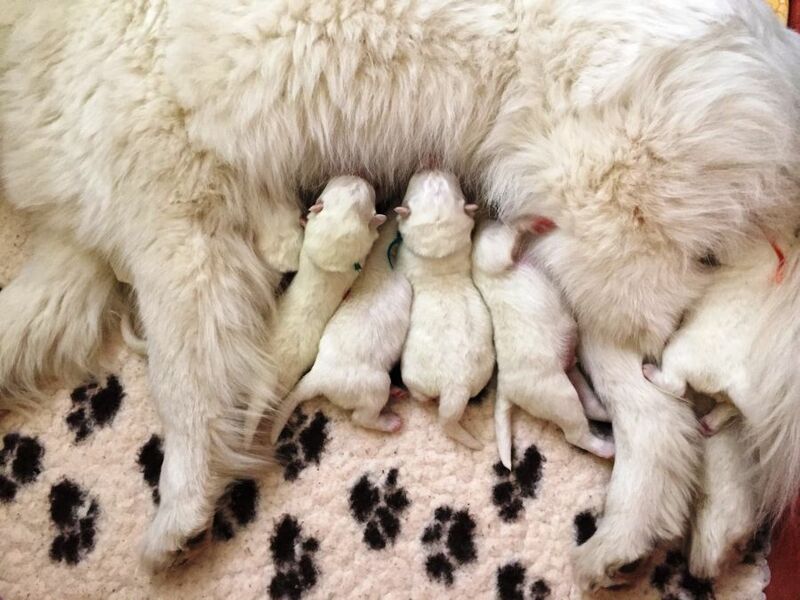 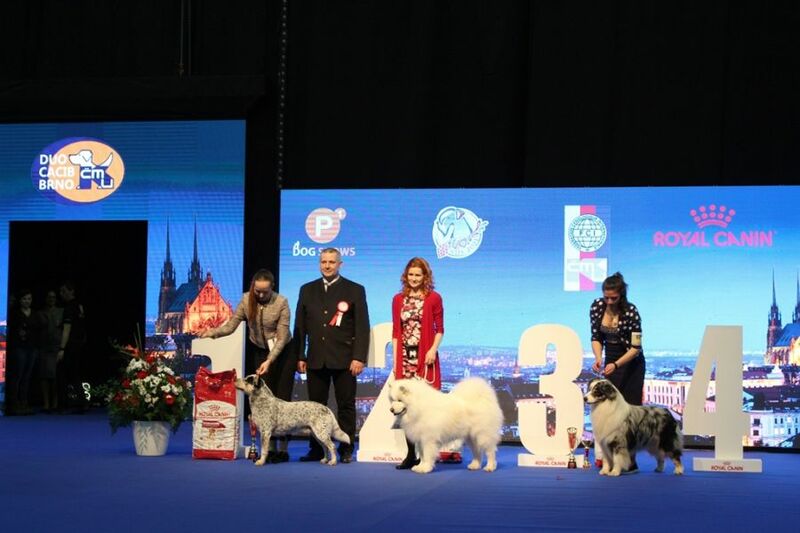 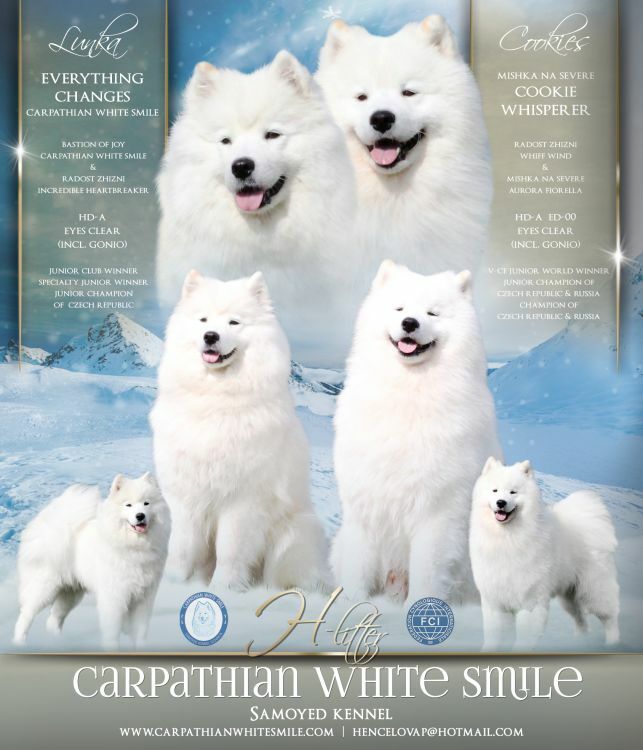 Big congratulations, we are very proud of „our puppies“! 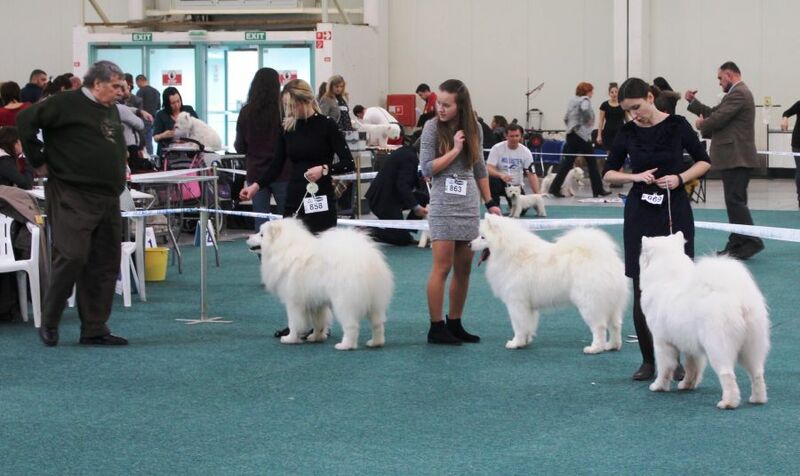 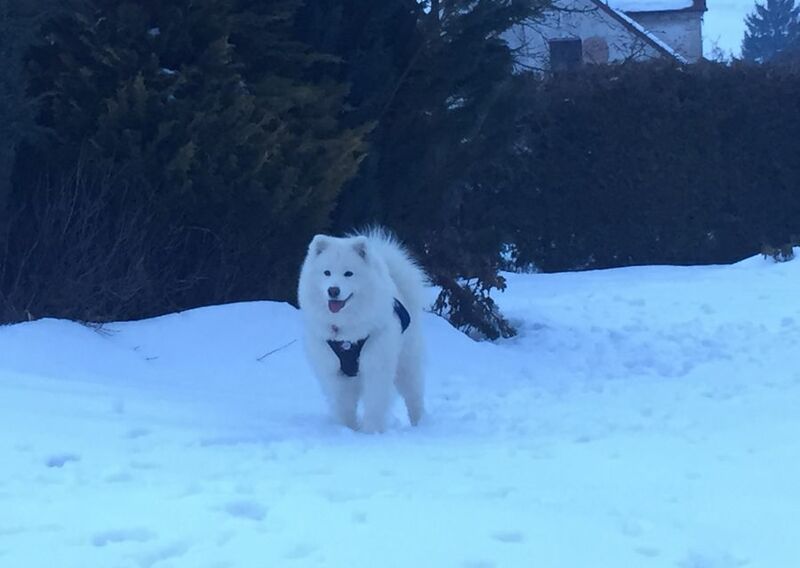 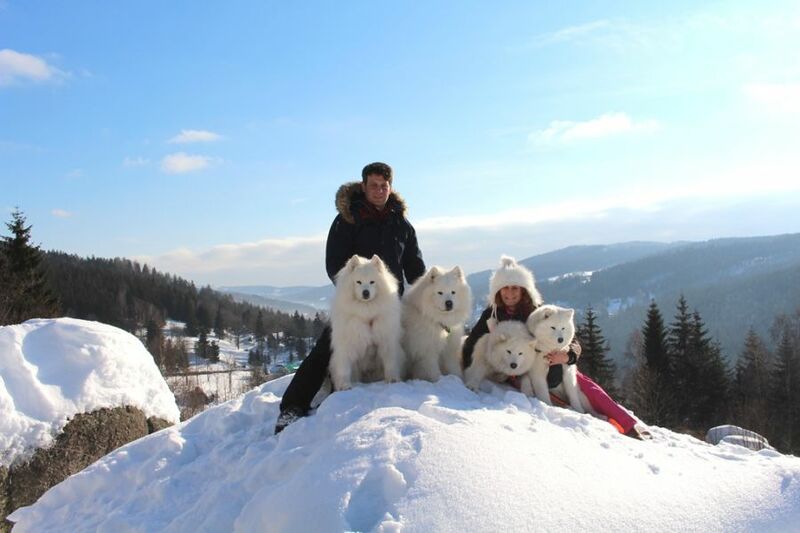 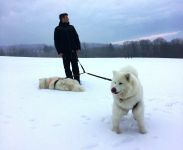 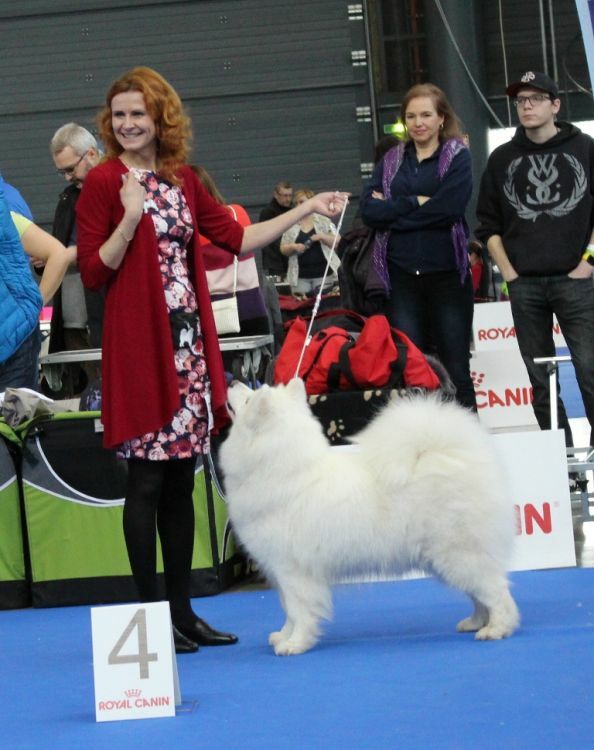 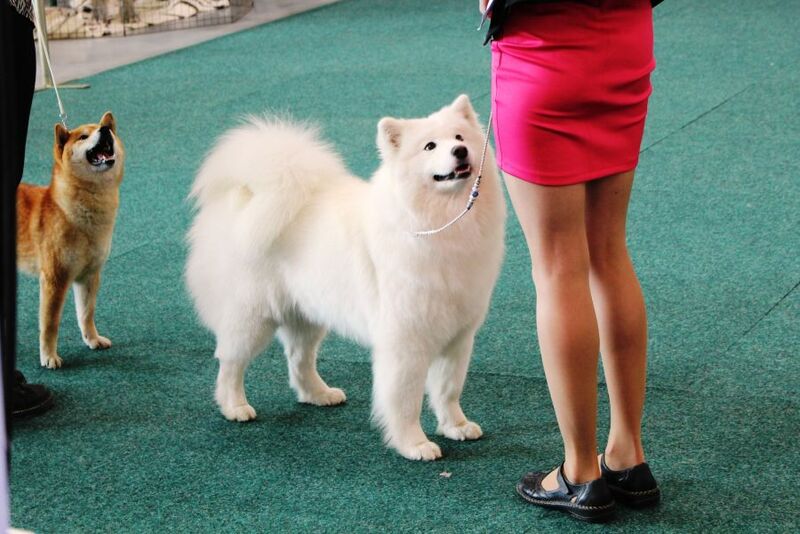 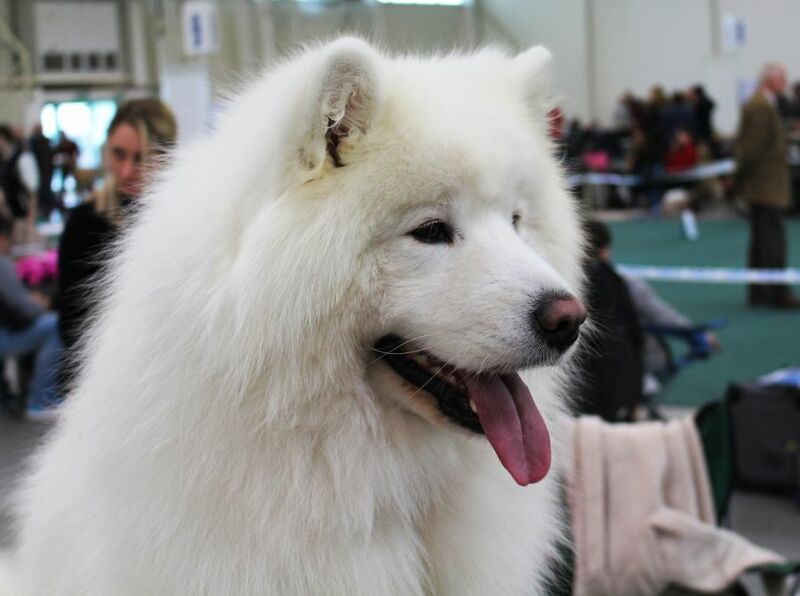 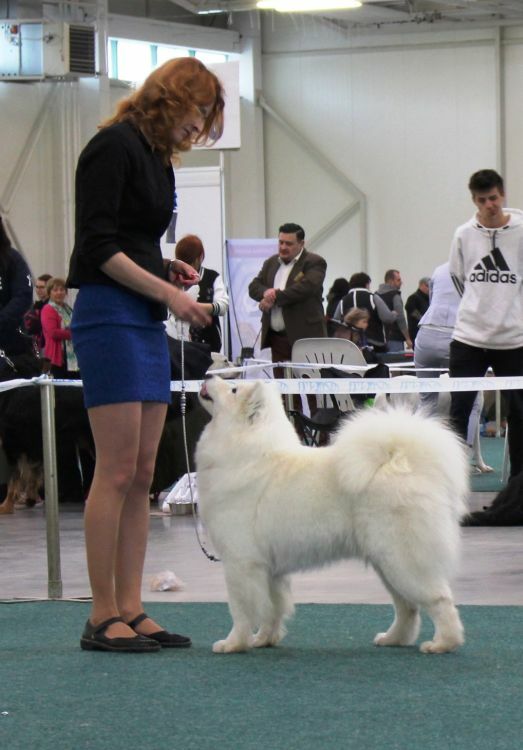 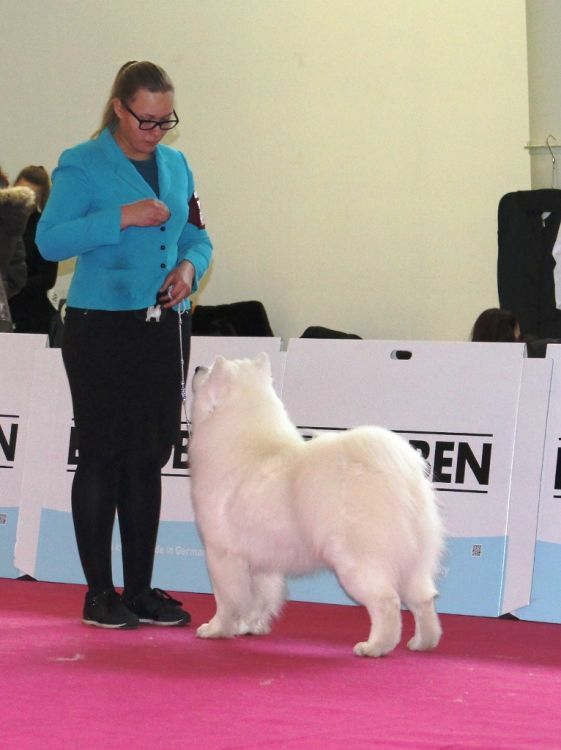 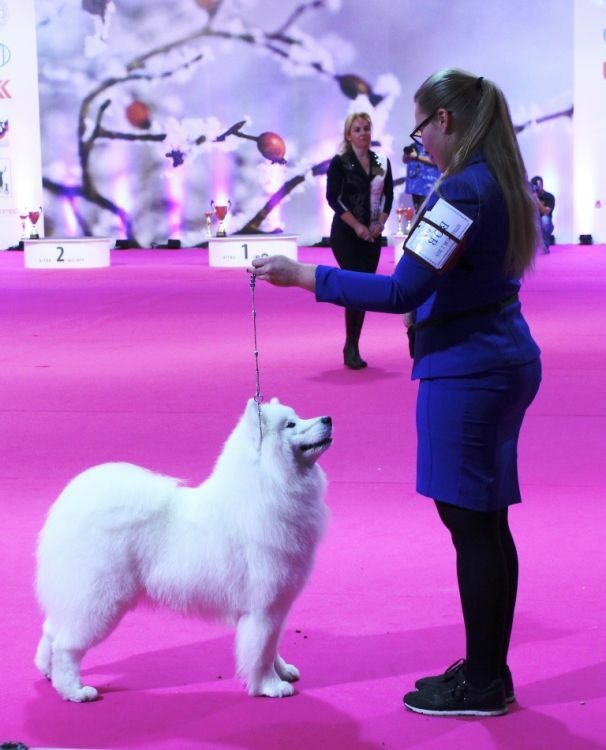 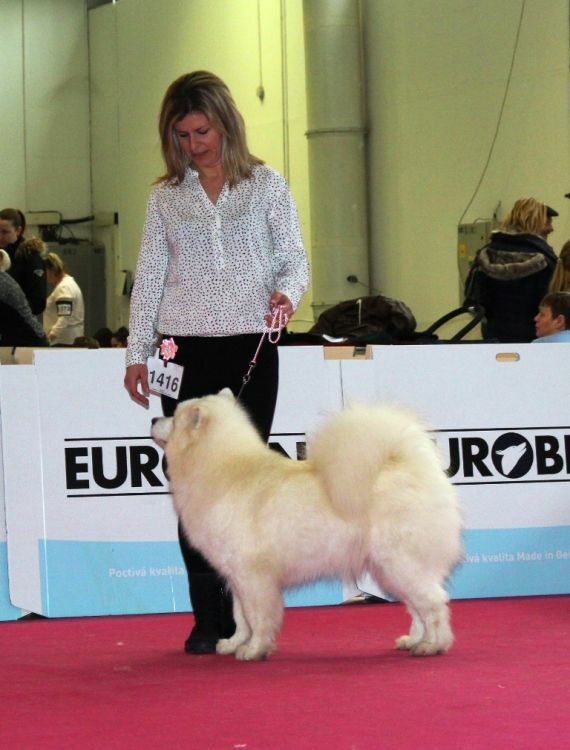 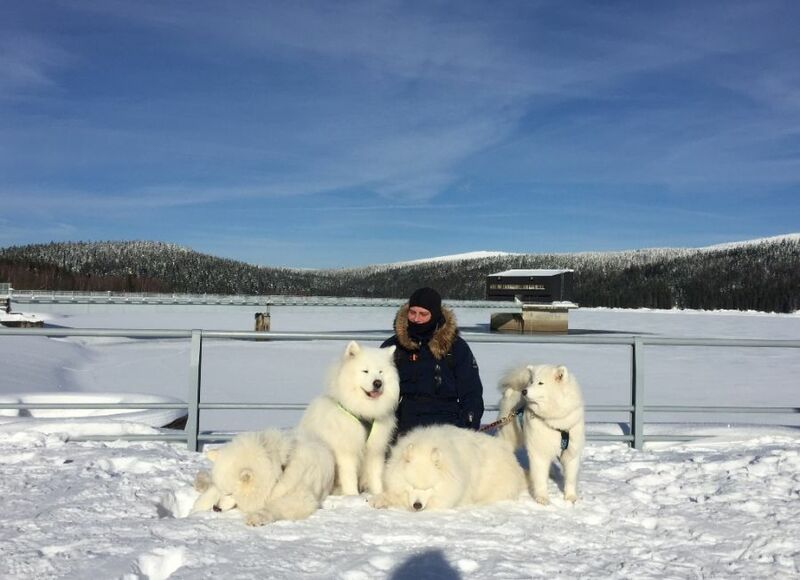 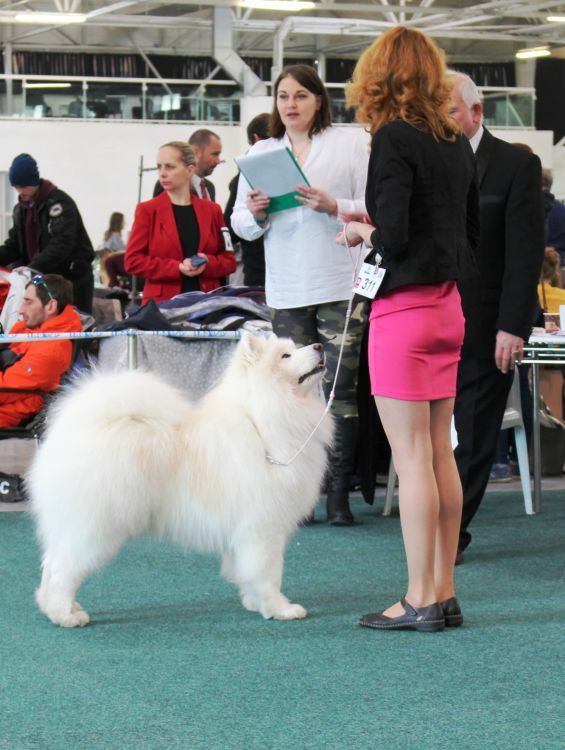 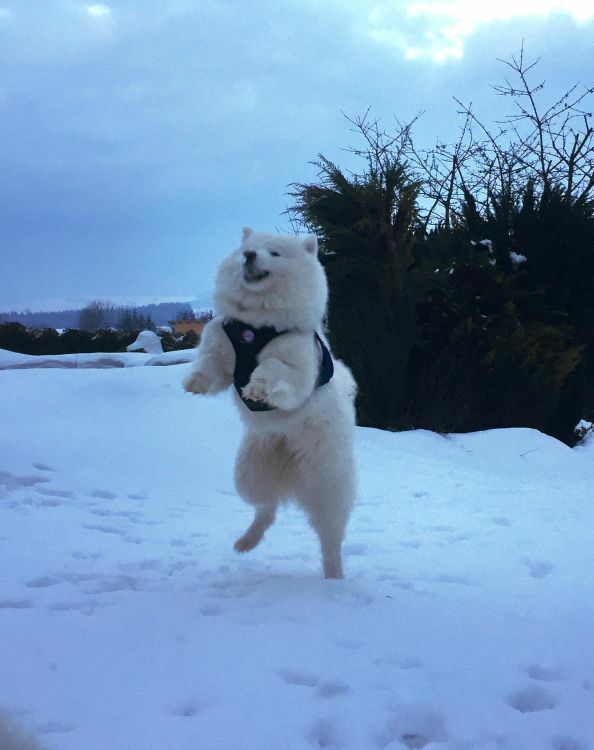 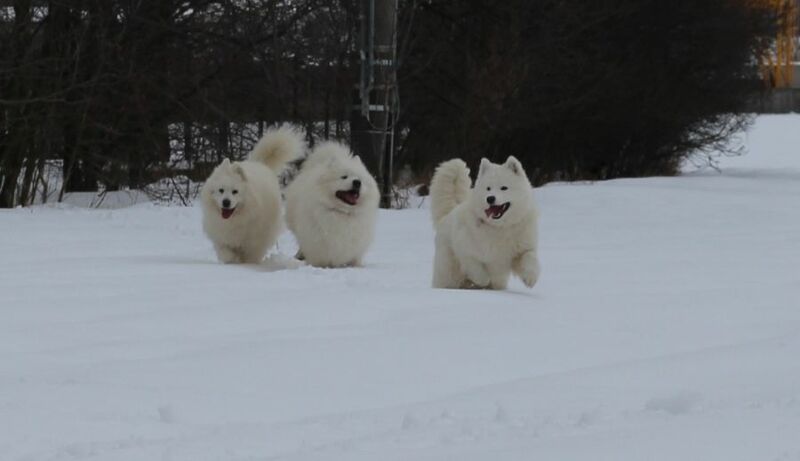 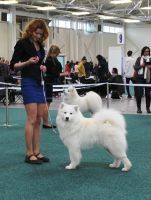 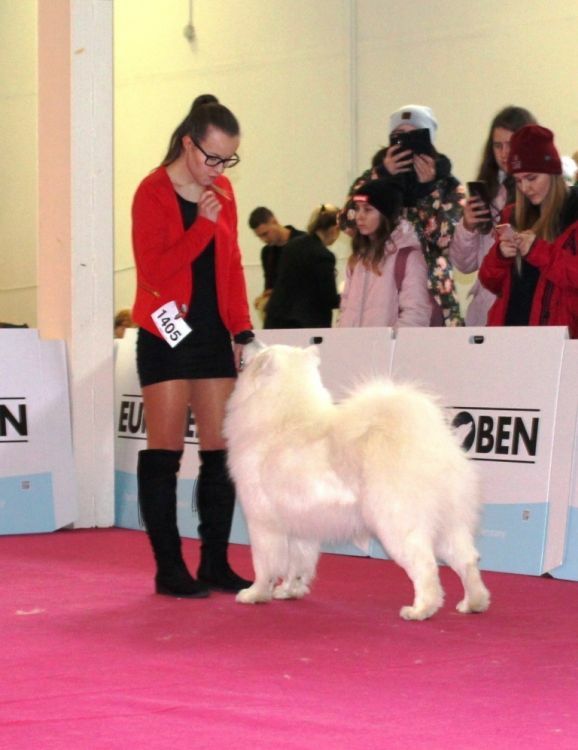 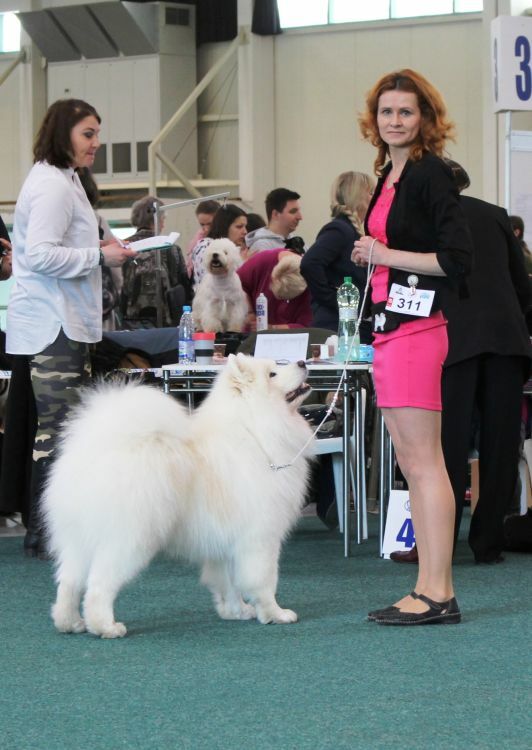 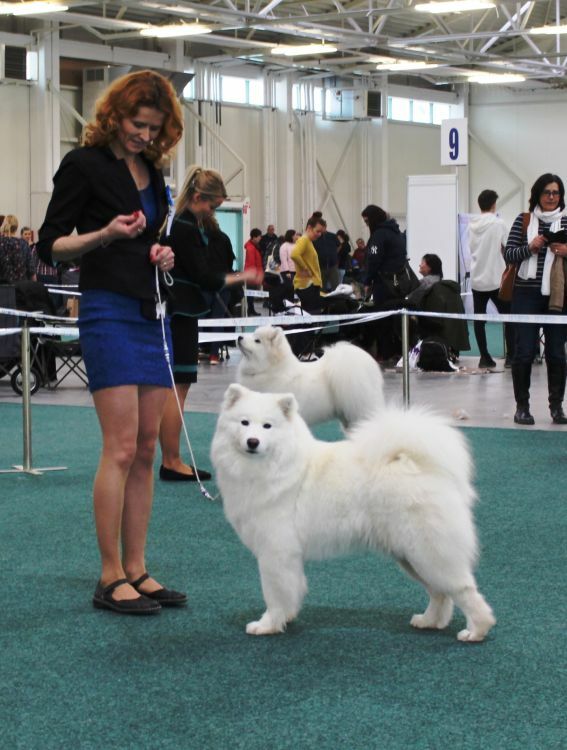 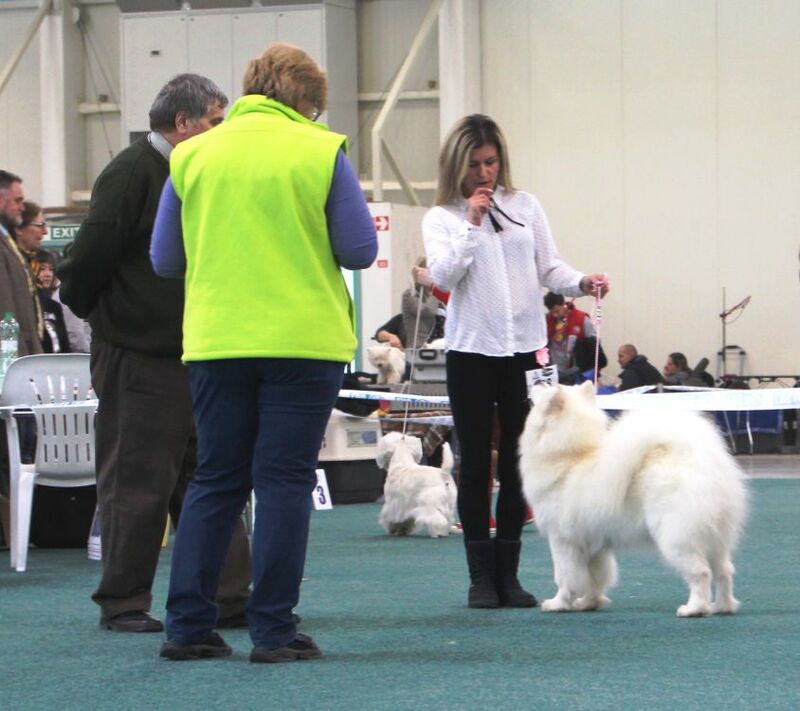 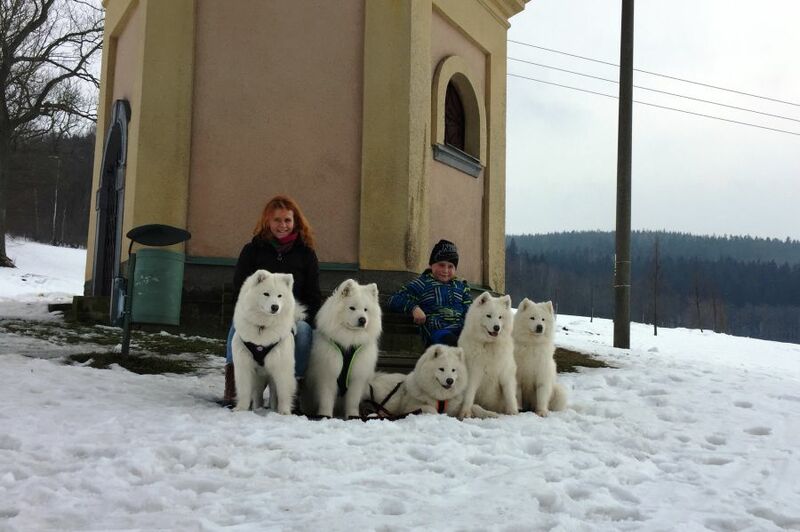 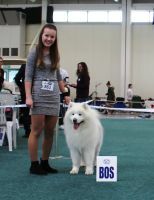 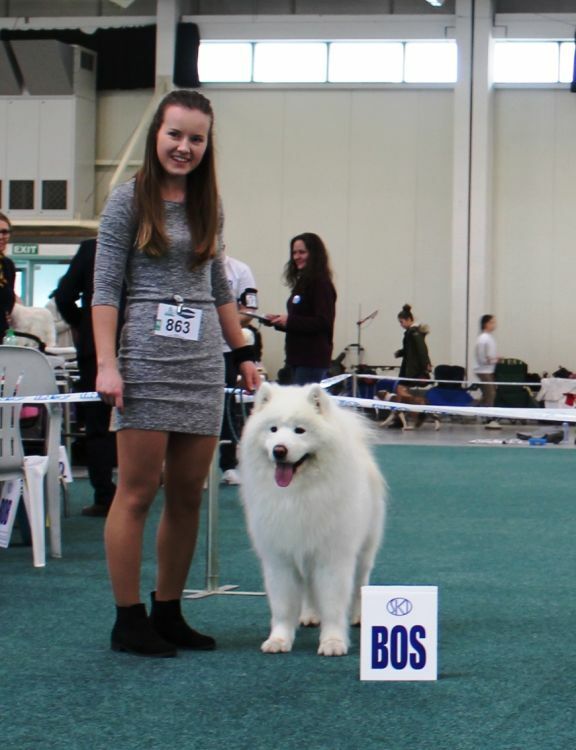 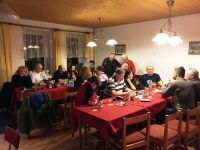 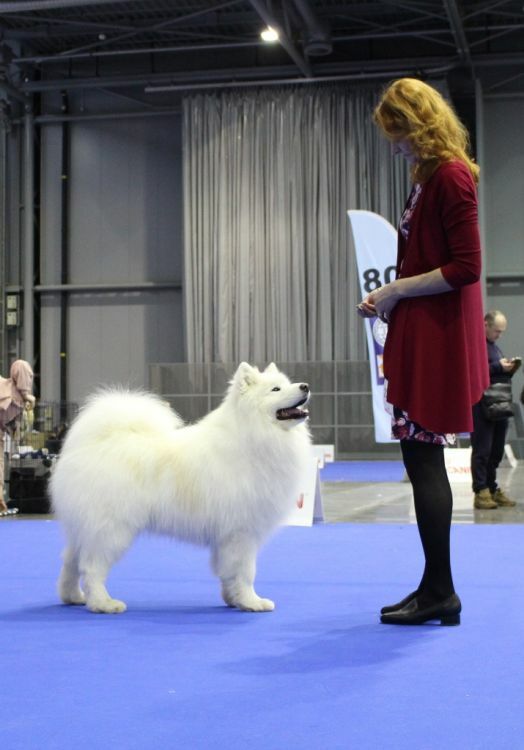 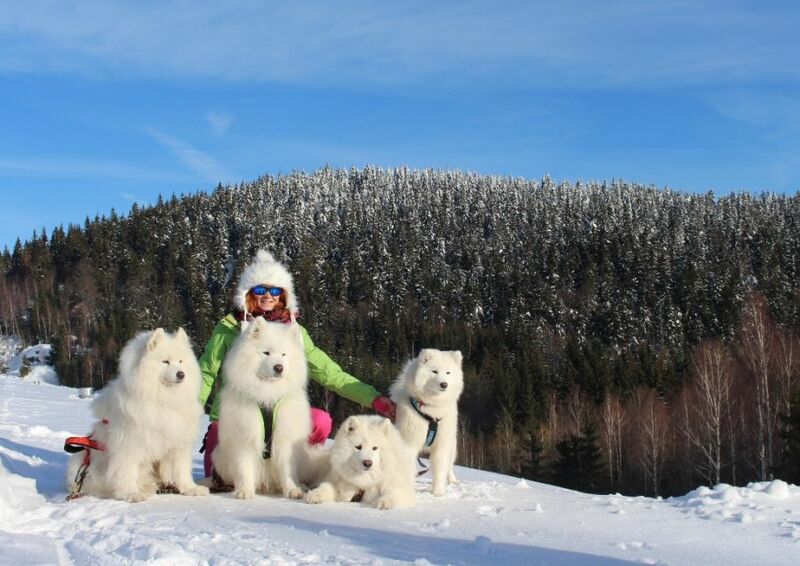 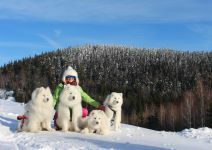 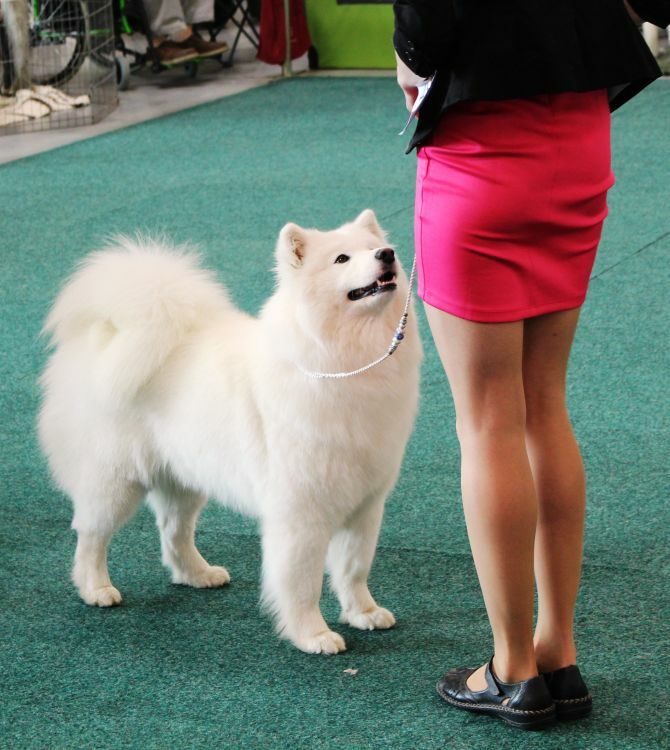 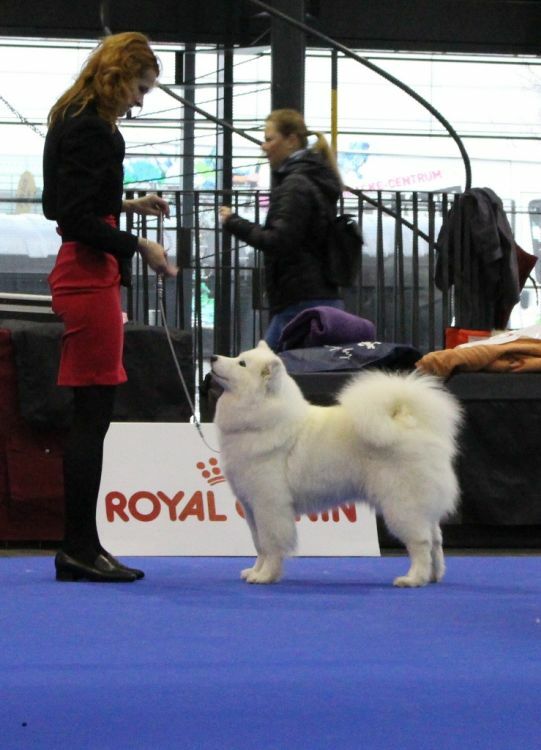 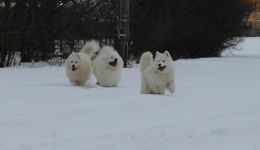 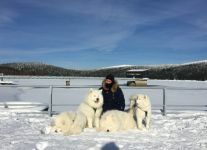 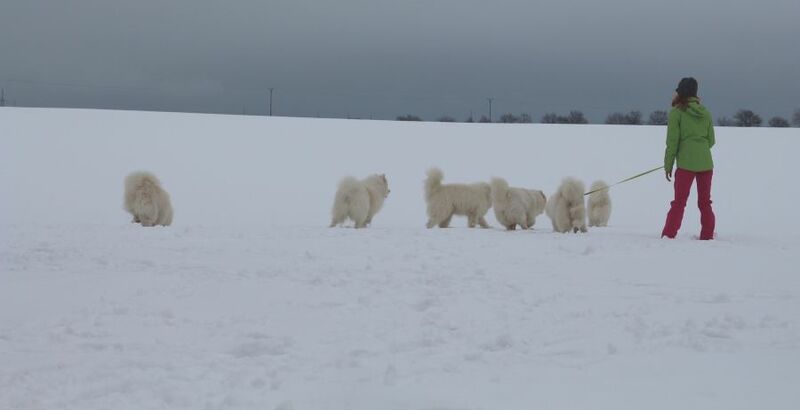 After one year break we decided to participate again at winter samoyed camp, organised by Samoyed club of Czech republic. We spent beuatiful weekend with amazing people and lovely dogs in Josefov dol. 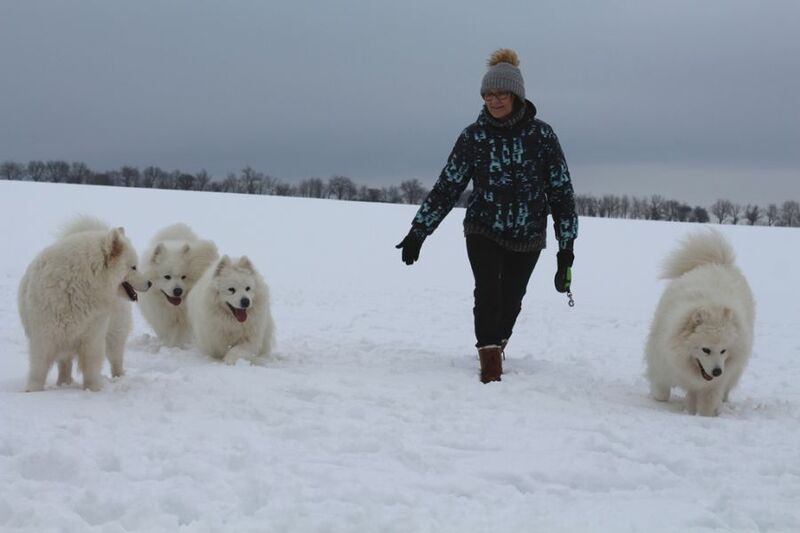 Beautiful walks with dogs, competitions in running with dogs in snow, sledge... beautiful evening with traditional music.... Big thanks to all people who prepared this samoyed camp, we have a lot of nice memories! 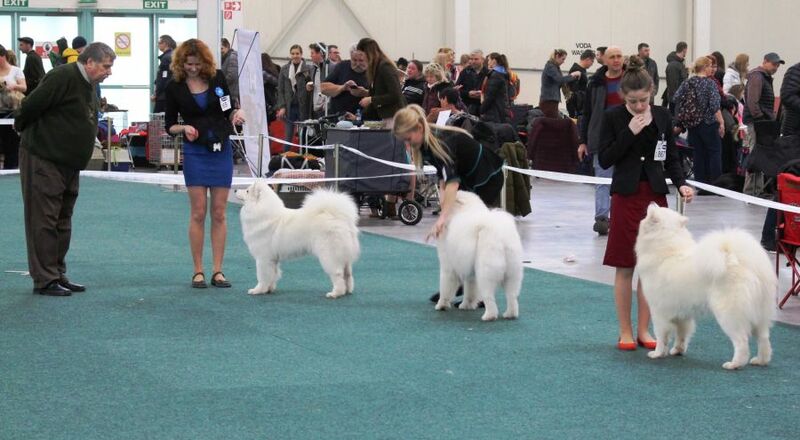 Looking forward to Lunka& Cookies babies! 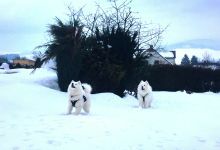 Finally we have snow in the middle of January... we love to play, jump and run in the snow. 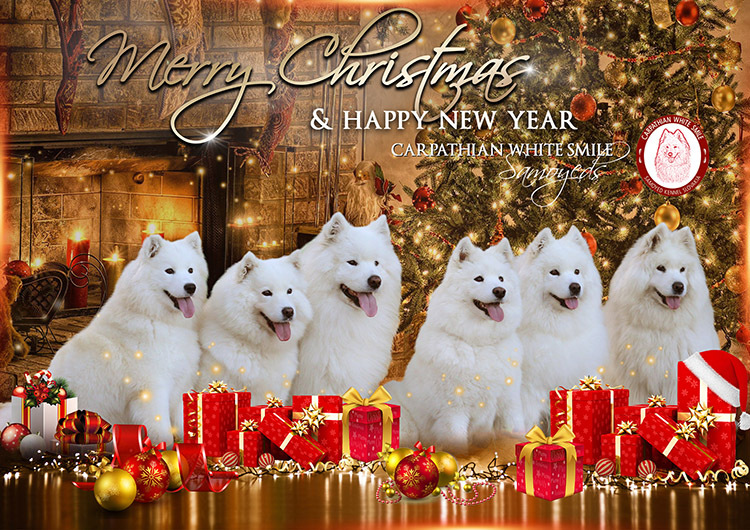 Happy New Year to all our friends, puppy owners and whole family !